PML-N’s top man in Lahore is… Pervaiz Malik! MNA Mohammad Pervaiz Malik, close aid to Punjab CM Shahbaz Sharif on Friday was awarded the PML-N Lahore president slot in connection with party reorganisation process inching forward since 2009. MNA Hamza Shahbaz, once considered political successor to PML-N president Nawaz Sharif, had been tipped for the Lahore president post with party lobbyists working to secure the important position for him. However, Pervaiz Malik got the post despite not lobbying for it. Sources said Lahore Division coordinator Hamza Shahbaz could yet be made PML-N Lahore Division president. Sources said while all former PML-N Lahore presidents had lobbied for the post, Pervaiz Malik had been rewarded without much effort. Sources said other Lahore office-bearers will be announced later. The PML-N Central Secretariat confirmed PML-N President Nawaz Sharif had notified that Mohammad Malik Pervaiz had been designated Lahore president. 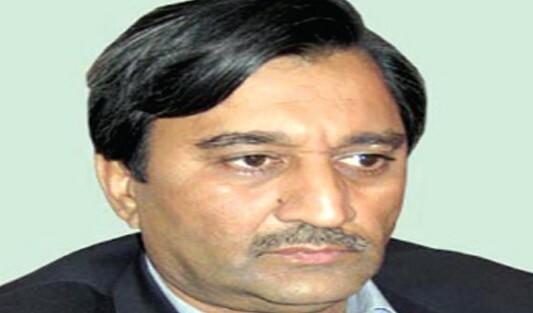 BIOGRAPHY: Pervez Malik earlier fell out of favour with the PML-N in 2008 for being the younger brother of former Attorney General Justice (r) Malik Mohammad Qayyum, a close aide to ex-president Pervaiz Musharraf. His sister, Yasmin Rehman, married to ex-PPP Lahore President Misbahur Rehman, was elected to the NA in 2008 on a PPP women seat. Pervez Malik’s brother, Dr Javed Akram, is Alama Iqbal Medical College Lahore principal and Jinnah Hospital chief executive. he is a very good man and the right man..you should correct your stat. Which democratic party awards 30 tickets to the party chairman's relatives. heck which democratic party's name is based on the party chairman i.e pml-N (awaz). purchase his loyalties were failed. He is man of courge. decision is DAIR AYAID DURAST AYAID.